Who would have thought that Count Dracula, lord of the undead and the subject of countless horror films and stories, could become comedy material. Well, Devon-based theatre company Le Navet Bete did, and what a thoroughly brilliant job they have done with their hilarious new production. All the familiar Dracula ingredients that have terrified countless people over the decades, ever since Bram Stoker created his classic horror story, are still there. 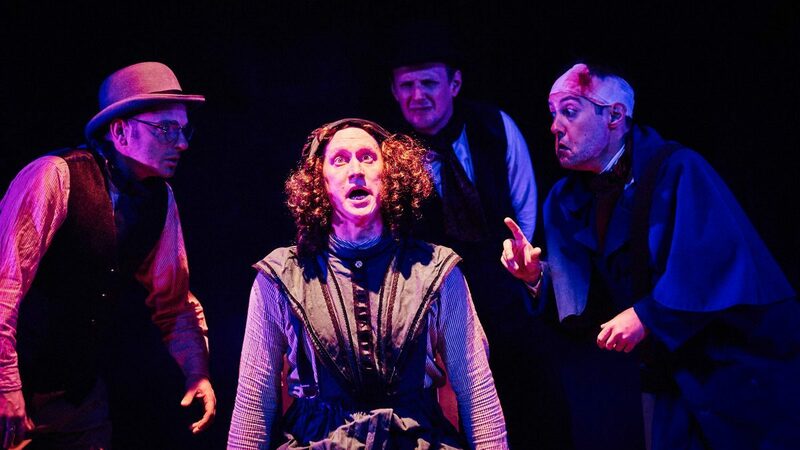 But Le Navet Bete have managed to turn the frightening tale of the vampire lord into a riotous comedy comprising elements of traditional farce, pantomime, and accident-prone Frank Spencer-style mishap in Some Mothers Do 'Ave 'Em. 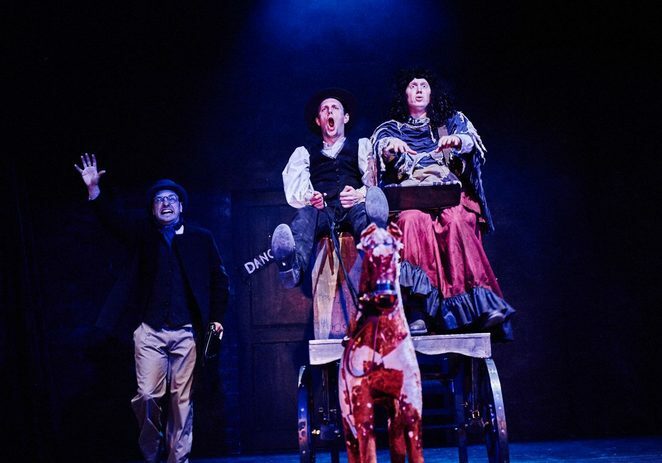 Dracula: The Bloody Truth, which appropriately appeared at the Lichfield Garrick theatre on Halloween night - October 31 - was incredibly performed by just four actors who, together, played all the various parts, and did so to perfection. Nick Bunt took on the pivotal role of Professor Van Helsing, who began as the frustrated narrator of the story until his character eventually appeared in the tale towards the interval - the story being that the events surrounding Dracula really happened and Bram Stoker stole them for his book. Equally outstanding was Dan Bianchi as Dracula, Al Dunn as Jonathan Harker, and Matt Freeman as Jonathan's fiancé Mina, as well as various other characters between them ranging from Dr Seward and Lucy to the insect-eating Renfield. 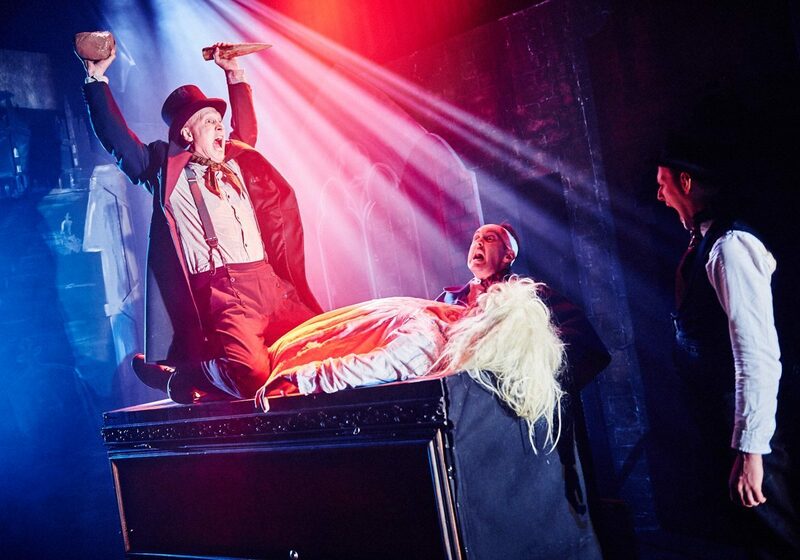 The hilarious comedy is evident from the very first minute when, after the opening eerie music and spooky goings-on, things start to go wrong on stage. And this extremely high comic standard is maintained throughout the play with late costume changes, forgotten lines, effects that go wrong, and collapsing furniture and sets, all contributing to the non-stop hilarity. One particular side-splitting moment comes when Dracula attempts to fly from his pursuers. As Van Helsing tells the audience, one or two of whom find themselves involved in the production: "What you will witness tonight cannot be described as theatre." No, this was pure comedy gold instead! 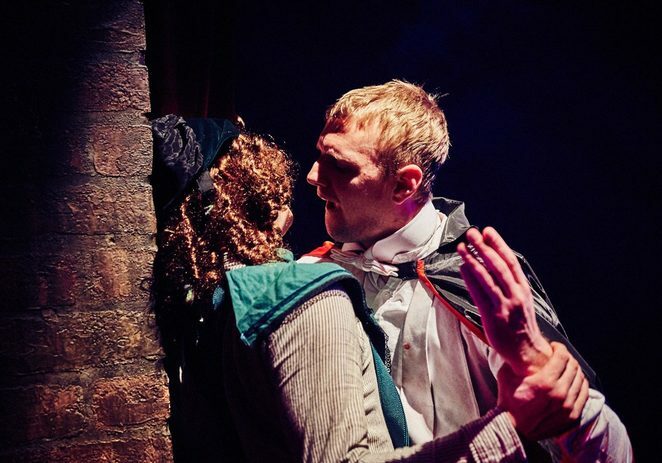 Dracula: The Bloody Truth, which is produced by Le Navet Bete in association with Exeter Northcott Theatre, completes its autumn tour with a performance at Leamington Spa on November 2. But comedy fans need not despair as La Navet Bete are due to tour with the production again next year, as well as turn their off-beat attention to the tale of The Three Musketeers as well.